SNB super green Indo capsules are perfect for those who are looking to gain some energy, experience euphoric effects, enhance their mood and can gain some stimulation .. isn’t that wonderful. Then wait for what? Get your hands on this amazing Kratom strain and experience amazing effects. 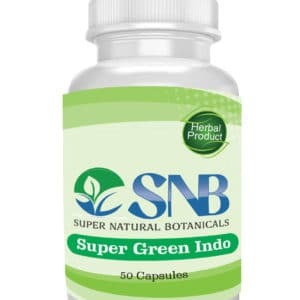 Super Green Indo Capsules bottle contains 50 capsules in it. And each Capsule having the 500mg strain in it. We Supernaturalbotanicals offer you free shipping within 3-5 business days via USPS.